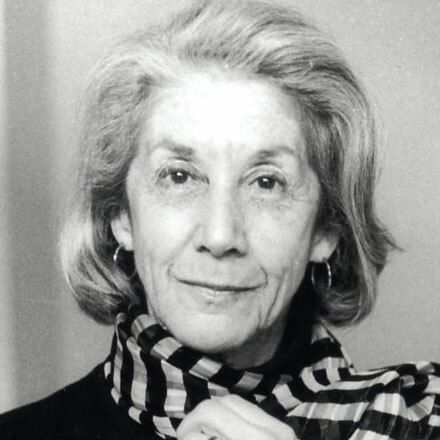 Nadine Gordimer, the brilliant South African writer, has written 14 novels and 19 collections of short stories (if I’ve counted right). She won the Booker in 1974, the Nobel Prize in 1991, and numerous other awards. Since my friends who read her were very political rich people, constantly traveling to Africa and South America to help out in the wake of famine and earthquakes, I assumed Gordimer would be beyond my ken. Really Plautus and Aristophanes were much more my thing. When I mentioned the possibility of the Peace Corps to one of my professors, he assured me that my background in classics “would not be useful in third-world countries” and sent me off to teach Latin at prep schools, whence I eventually escaped to a less stressful profession. We have long had many of her books on our shelves. Because I thought I should–what educated person hasn’t read Gordimer?–I picked up one of her books. It has been a revelatory experience. Do you remember what it was like to first read Doris Lessing? That feeling of recognition? Although Gordimer’s work is more blatantly political, there is the same clarity, perfection of phrase, and richness of imagination. In her collection of short stories, Something out There (strongly recommended by Captain Nemo), she describes, among other characters and situations, a poor black couple harboring a political dissident, a marriage crumbling just before retirement, and the effect of a death of her “husband” on a black woman who attends AA. In “A City of the Dead, A City of the Living,” she describes a small house with “the usual two rooms and kitchen with a little yard at the back,” meant to hold four people, which has sheltered up to 11 people. Samson Moreke, the tenant of Number 1907 Block C, accustomed to harbor sub-tenants and transient relatives, agrees against his wife’s wishes to allow a cousin’s friend to stay with them temporarily. He explains that the man blew up a police station and can no longer stay safely with the cousin. The wife’s thoughts are expressed in italics. She lives intimately with the bomber while her husband is away at work. He helps her with the dishes and the baby, but he also has a gun. She has to go to the shebeen to buy his cigarettes. He flirts with her and lets his fingers touch hers in the dishwater. Her husband hero-worships him. But the man’s behavior brings about an unexpected turn. One of my favorite stories is “At the Rendezvous of Victory,” in which a renegade guerilla general becomes persona non grata after his “brother” in the struggle becomes Prime Minister. His outspokenness embarrasses the politician and he is considered inappropriate for the army in peaceful times. His character becomes wilder and more idiosyncratic. And we are on his side. Not all of her stories are political. In “Letter from His Father,” Kafka’s dead father writes a letter to his dead son, Franz Kafka. In “Rags and Bones,” a woman finds letters in an old tin chest she finds in a junk shop and agonizes over the ethics of reading them. The exquisite story, “Sins of the Third Age,” is set in an unnamed European country. Peter and Mania, a couple who survived World War II, have started life anew in a different country, where Peter can ignore the number tattooed on his wrist and Mania can put aside her memories of famine. Peter is a sales manager and Mania an interpreter. They have no one but each other and their own biological family. When they near retirement, they decide to buy a beautiful house in a village in Italy where they have vacationed. But when Peter goes to Italy, before her retirement, an unexpected event drives a wedge between them. This is a powerful collection, lyrical and insightful. I look forward to reading her other books. Sound like what I’m in the mood for, a book of short stories by Nadine Grodimer. She’s very good! Her stories are very full and complete, with well-developed characters. I’m looking forward to reading more soon.